Want Google Voice, but didn't get an invite? It may be time to start kissing up to someone you know who's got it. Google today announced that Google Voice users will soon be able to invite friends and family to join the innovative (and free) service that offers a plethora of telephony features, including the ability to route all of your home, mobile, and work calls through a single number, as well as record calls, and read transcriptions of voicemails. 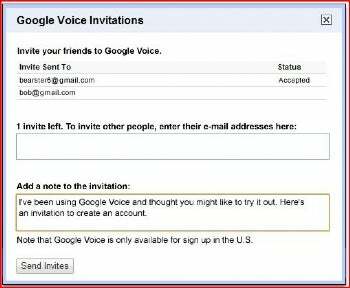 Google Voice Invitations will be rolled out "over the next few weeks," according to the Google Voice Blog. Users will see an "Invite a friend" link on the left side of their inbox. 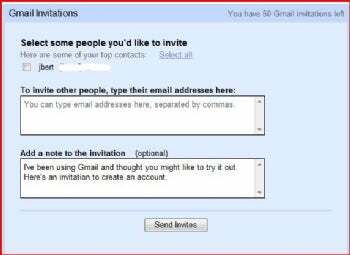 Google initial will allow three invites per user, although it plans to allow more in the future. The company used the same viral marketing strategy when it launched Gmail. Today, Gmail users today can invite up to 50 people to sign up. It's good to see that the ongoing soap opera between the FCC, Apple, AT&T, and Google over Google Voice hasn't slowed the search giant's determination to promote its clever phone service. I'll be keeping an eye out for my "Invite a friend" link.